I've wanted to write this for a while. I live in a three bedroomed house and one of the rooms is all mine. There is only my husband and myself in the house and of course two dogs but as I work from home. I kinda need my own space. In our last house, my husband had a full bedroom full of outdoor stuff. I was due to have my own little sanctuary. I often fantasise about adding an extension to our home and I thought I would share my dream with you. There are a few reasons I want an extension, but mainly it is to add value to our house and also to give us back our third bedroom. This would be super handy when people come and stay. Just now we only have the one spare bedroom and as our friends have babies it would be nice to have an extra room for them. The extension would be used as an office, beauty room and workout space. First thing first I need to have amazing lighting. I would install modern roof lights. This would instantly change the space for me. For beauty, you need maximum light but for working out you need no light fitting in the ceiling. It was a huge dilemma. 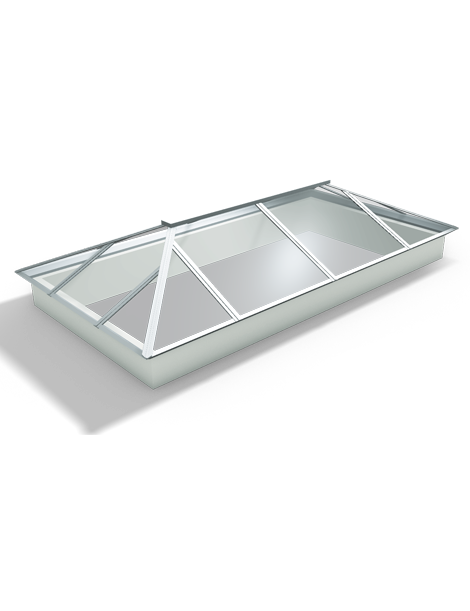 Until I found these roof lanterns online. These are the perfect solution for us. They heat up your home in the summer but lose no heat in winter. Plus they look so nice. For massage treatment, I can have a blind fitted to make it super dark too.This lets in maximum light whilst giving me space to swing my kettlebell till my hearts desire. Funny story, I was really into a workout one day and smashed my roof light so bad we had to get a builder out to fix it. Oh, I was in trouble with my husband that day. They had to replace part of the ceiling and the fitting. Next up, I want to have a proper gym floor in half of the room. I love working out but I always find my mats are too small. Imagine having a ready-made gym studio. The dream. Right now I work out in the spare bedroom and my kit is everywhere. This really would be awesome. I would have built-in storage. As above there is a mess with weights and kettlebells. I could store away all my gym kit and have proper makeup and beauty product storage. Ideally, I would have invisible storage. As I really like the clean lines look. Ok, this one will probably make you laugh but I want built-in dog beds. My dogs go to work with me every day. By this I mean I always say right I'm off to work In the beauty room and they trot along and sleep on their beds under my desk. As I write this one is using my foot as its pillow. I would love the aesthetic of having a permanent bed built in for them. Yes, I am a crazy Dog lady. It really is the little things I think about, isn't it? Have you ever planed your dream extension? Or is it just me.